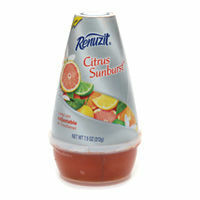 Become a Facebook Fan by “liking” Renuzit and receive a $1.00 off coupon for Renuzit Adjustable Cone. It is my understanding that these sell for about $1.00. So you should be able to get it FREE. Yesterday they made this offer available to the first 30,000 they have since changed the offer and made it available to the first 70,000. I just checked their Facebook page and there is still approximately 15,000 available.